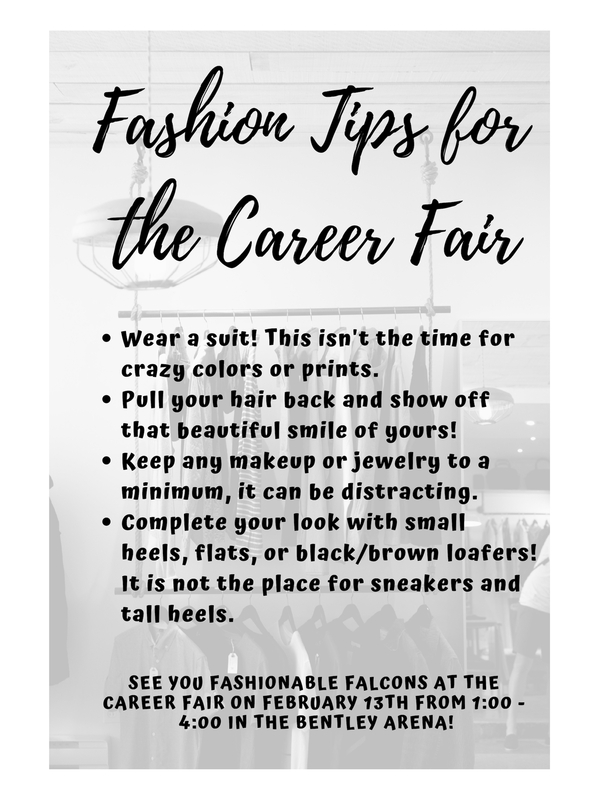 Not sure how to dress for the Career Fair? This infographic will answer your fashion questions. We look forward to seeing you all there and looking like the amazing business students you are!